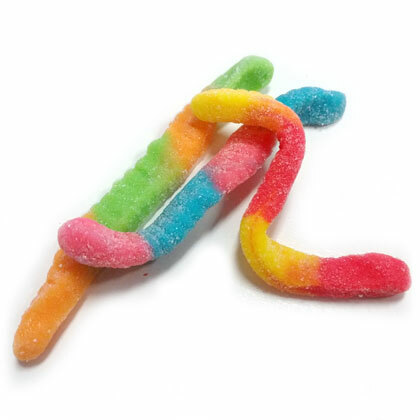 Delicious gummi worms (or squiggles) in eye-catching neon colors with a light sour sanding. 2 inches long. Made by Trolli. Approx. 3 pieces per ounce. 12 oz. bag.